I’m not sure what she’s calling them, but I went with “woven yarn basket”. 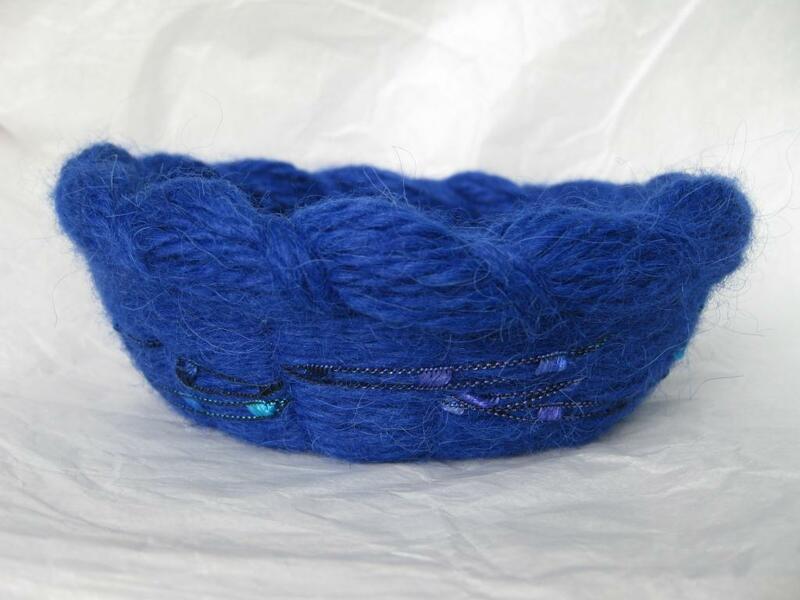 Though I think of mine as the LBB (little blue bowl). It works great as a catch-all for my everyday jewelry (that shot is only a teensy bit posed, there’s normally a lot more in the basket). It keeps my precious bathroom counter space from becoming too cluttered. Happy Friday! It’s been a week and a half since I slammed my finger in a window, and it’s feeling much better. I may try spinning a bit tomorrow, if gardening in the morning doesn’t do me in. 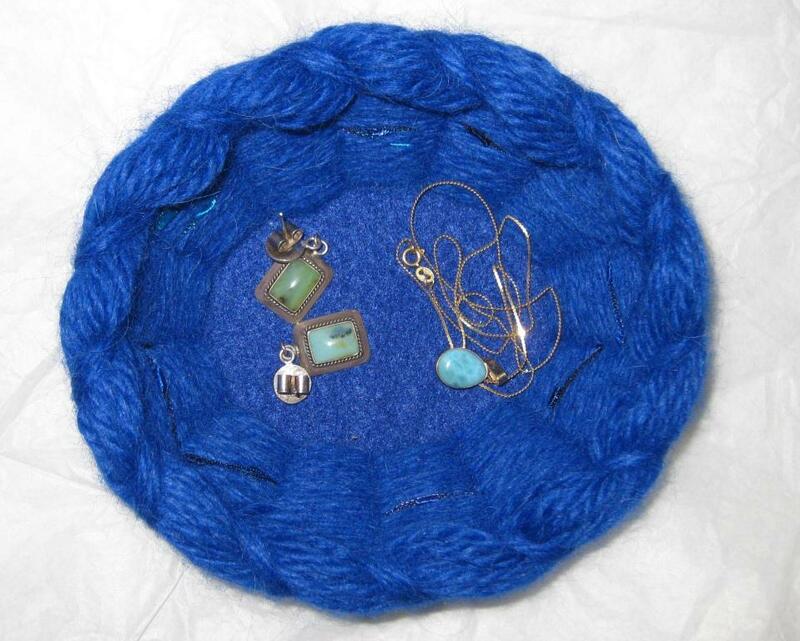 This entry was posted in fiber art and tagged basket, woven basket, yarn basket. Bookmark the permalink.